Polly’s School house is named after its founder and builder, Jose Policarpio “Polly” Rodriguez. “Polly” was a well known figure in Bandera County, Texas. He was a early Texas gunsmith, surveyor, army scout, Texas Ranger, rancher and minister. Polly Rodriguez was also responsible for founding the J.P. Rodriguez Settlement in SE Bandera County in 1858. Over twenty families farmed, ranched and settled there. Polly built Polly’s Chapel, was responsible for the Polly Texas General Store and built Polly’s School House. 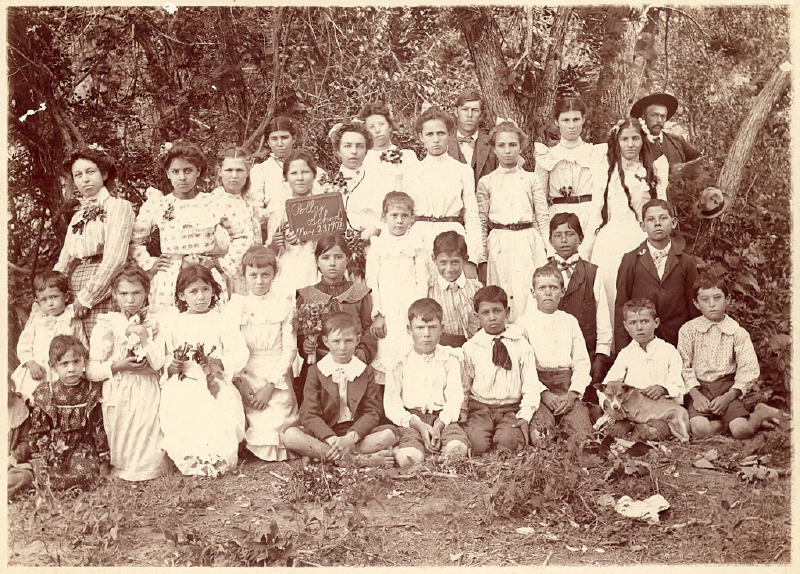 In 1892, Polly gave one acre to the state for the construction of a school for the neighboring children to attend. 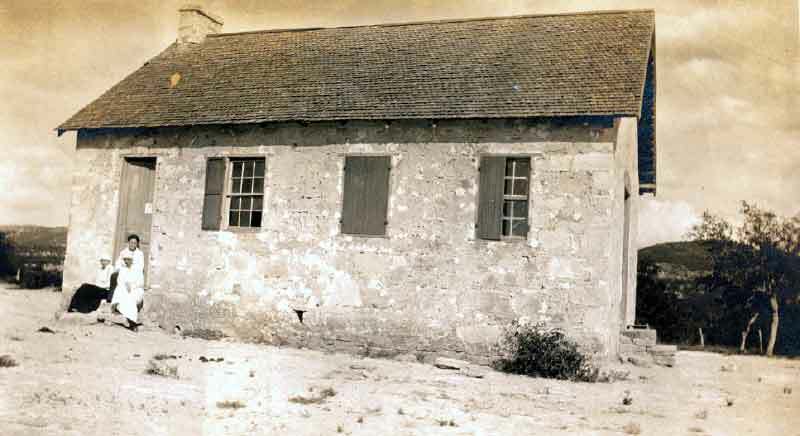 Although the state had no funds to purchase land, nor did it have funds to construct a school, Polly and local residents funded and constructed the school house, later know as Polly’s School House. The school was position in a north to south axis with windows exposed to the south to east winds. The design was one room for all grades and had a small attached carriage shelter. The construction was of 24’ thick stone walls with a wood frame roof with a metal standing-seam roof. The exterior walls were plaster smooth and featured six wooden single-hung glass windows with shutters. Inside, there was a small wooden fireplace on the north wall with shelving on each side. The floors and ceiling were of tongue& groove one inch wood. The walls were smooth plaster. Also, there was an old time Outhouse and a handmade water cistern were the children drew drinking water. Not much has changed on the old building and the association is busy pursuing historical marker status along with preservation. If you would like to participate or contribute to our efforts please contact us. For information on the restoration of Polly's Schoolhouse, click here.